That is certtainly a very bold statement. Would love to try that colourscheme in the bedroom, or maybe even on a wall in the garden. Now... Where's my paint brushes? 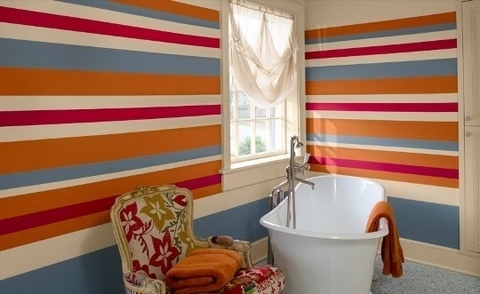 Lovely colour scheme for a bathroom. Cetainly beats plain white or blue. Its really very important to know and be aware of the above facts before hiring any social media professionals. Most of the cases it is difficult to understand anyone's skill in first take but if some basic criteria can be considered for choosing the right candidate then I guess it would be a successful process. I would like to thank you for the efforts you have made in writing this article. I am hoping the same best work from you in the future as well. In fact your creative writing abilities has inspired me a lot. Really the blogging is spreading its wings rapidly. Your write up is a fine example of it.